Parkinson’s disease, a neurological disorder that affects the central nervous system, has a major impact on the way a person moves. The progressive disease affects a person’s balance and step, in addition to their facial expressions and ability to talk. The disease is associated with such a distinct pattern of movement that the term “Parkinsonian gait” is used to describe the characteristic rigid shuffle patients exhibit while walking. Parkinson’s has no known cure, but in recent years, an unusual new treatment for managing the disease has emerged: dancing. A number of studies over the past few years have suggested that rhythmic movements taught in dance classes can help alleviate not only some of the motor control impairments of the disease, but also the sense of social isolation patients often face. In 2010, Italian researcher (and musician) Daniele Volpe was playing with a band in a pub in Ireland when he noticed a man with the clear shuffling gait indicative of Parkinson’s disease. Then the man began to dance. “He danced very fluently in front of me,” Volpe, a medical director at NYU’s Fresco Institute for Parkinson’s and Movement Disorders, told mental_floss. Since then, Volpe has been studying the effects of Irish step dancing as a way to improve balance, mobility, and general wellbeing for people with Parkinson’s. “All dance is useful for patients with Parkinson’s disease,” Volpe says, but the Irish reel step in particular seems to be an effective therapy for developing more fluid movement. It has a distinct pattern that requires dancers to change direction frequently. This, in addition to the consistent length of the steps, requires dancers to constantly focus their motor control on transferring their weight from one leg to another. The strong rhythm of traditional Irish music may play a role, too. The regularity of a jig or reel may provide consistent acoustic cues that drive automated motor activity, bypassing the movement-related brain networks that Parkinson’s impairs. However, Irish jigs aren’t the only dances that can help Parkinson’s patients. Dance for PD, a New York-based organization that began as a collaboration between the Brooklyn Parkinson Group and the Mark Morris Dance Group, has six locations in the New York City area and has programs in an estimated 120 communities and 13 countries. 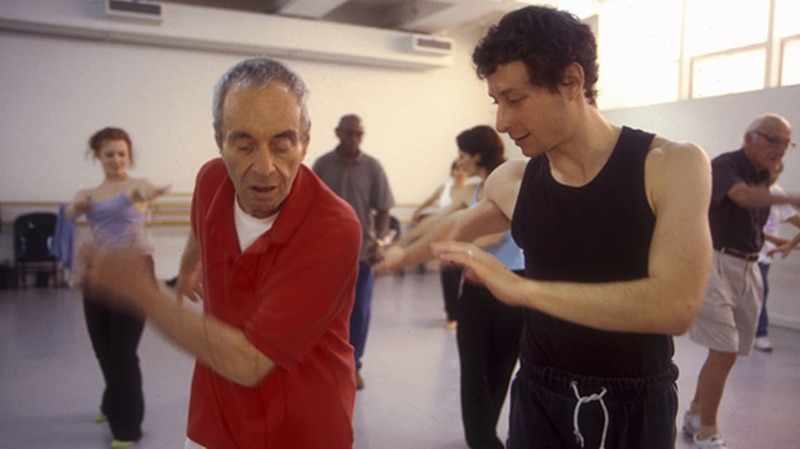 The organization teaches a variety of different dance styles to Parkinson's patients, including ballet, jazz, and salsa. The group also incorporates modern dance choreography developed for the Mark Morris Dance Group’s performers. The first 30 or 40 minutes of Dance for PD’s classes are seated, and patients with major balance issues can stay seated for the duration, if needed. The teachers are trained to adapt and translate movements to allow as many people to participate as possible, whether they’re in the first stages of the disease or wheelchair-bound. “People know that it’s rigorous, but they know that whatever movement they’re bringing in is valuable,” program director David Leventhal tells mental_floss. “One of the challenges is, Parkinson’s is so individual in how it affects people.” One person with stage 1 Parkinson’s may only exhibit some tremors, while another may have major balance issues. Individual dances, like modern choreography, allow all students to work at their own pace, rather than trying to keep up with a partner, as in tango. Dance classes don’t provide instant relief from some of the movement issues associated with the disease, but over time, the training can help make daily life easier. One of Volpe’s studies found improvements after six months of training for two hours a week. Leventhal says around 65 percent of patients in the Dance for PD program report improvement in at least one aspect of their daily lives, whether it’s more ease getting out of bed or simply being able to reach for a jar in the cupboard. "As soon as I go in and we start [dancing], I forget about the Parkinson's in a way, and the disorder that I have," William "Curly" Sanders, who takes one of the free Dance for PD classes offered by Bowen McCauley Dance in five locations across the D.C. metro area, says in the video below. "It's like an evil is blown out of me."